Has Google Gone Too Far? — Helping you get found, get liked, and get more business online. You are here: Home / Interviews / Has Google Gone Too Far? He’s calling Google out for trading their iconic “Don’t be evil” motto in for one some say borders on sinister: Make more money (no matter who gets hurt). Is Josh correct? Or is he only trying to stir up a name for himself and his search engine optimization (SEO) firm? Any way you cut it, he’s proposed an important topic that needs to be addressed. Critics say any damage Google’s actions have inflicted on businesses are well-deserved and absolutely within good business practice. Others see a power play aimed at pushing businesses towards having to pay Google for rank. If Google is anything, Google is powerful. Power aside, though, shouldn’t any company be able to do whatever it wants in order to make more money? Here’s the trailer for the video. Afterwards are remarks gathered from a group interview via MyBlogU … one helpful tool, by the way. After watching this trailer, what is your reaction? Josh is addressing a very intriguing and delicate issue in an overwhelming, but humourous, way. My first reaction to the video was to smile … but soon the smile was replaced by quite a lot of thinking and a feeling of drama! Congrats to Josh, he definitely has some guts! My reaction is empathy for these people. Google’s algo updates are exactly as the video suggests – aggressive. I’d be more shocked if I didn’t know this sort of thing was going on. I’d imagine the general public don’t know and to them it’d seem a lot more scandalous. Of course, it needs to become popular before this can be the case. My initial reaction is that it is very thought provoking, but, I have gone through this argument many times. If a business is going down the pan due to losing a ranking in Google, then that business was always in trouble, I don’t mean that to sound brutal, but it’s the truth. It is pretty much impossible to build a business to last, based on a search engine ranking. That is not a business model. Not so many years ago I could get a website onto page one of Google pretty quick and pretty painlessly, and it was there to stay … until these updates started kicking in. Now look at it from another angle: Is it fair that, because I knew a few tricks, I got page one rankings? No, it’s not really. Google set itself up using a back-links system, one back-link = one vote. Rightly or wrongly, that is the system they used (rightly for them). Now they can make the system more sophisticated, it was always going to happen. When they do finish all these updates it should, in theory be a more level playing field. If anyone has been hit by these updates, the best thing they can do is get on with recovery. The clip made it sound like Google, as an entity, had a personal beef with the small businesses that were negatively impacted with a change to the search algorithm. I just can’t see how that’s possible. The only time I can see Google taking an interest in ANY small company is if it’s a tech company that has a service/product Google wants. A project like this can make the difference in our Google-oriented world! I hope it can help Google’s team understand what kind of influence they have in people’s lives. I also hope it can act as an eye-opener for people, because founding an entire business on presence in Google is a sure-fire way to lose everything sooner or later. Google is a business, like yours and mine. 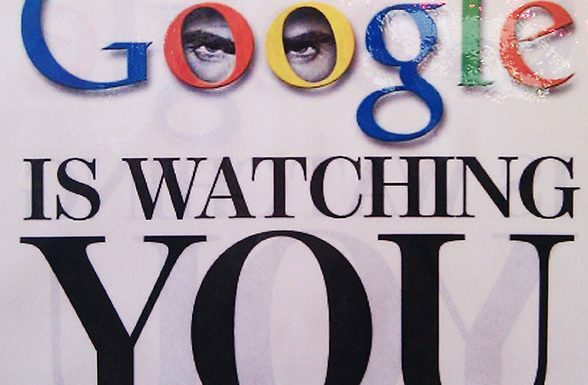 They have interests to protect and project, but our businesses are ours, not Google’s. I believe part of the current situation is people’s fault, because they look to Google as the ‘god of web marketing’. It isn’t. It’s just a search engine (like the old Altavista and the new DuckDuckGo) and at its core, a company like any other. We (as webmasters) should stop looking at Google when we create our websites and look at the ones who count instead: our dreams, and the people who need our dreams (our users, readers, customers). I will donate to the fund as soon as I can afford it, because this documentary is a necessity to our world. Hope it’s going to push a deep change … from the inside. I’m torn between conflicting reactions. On the one hand, it is unfortunate that some of these business owners have lost their livelihood due to shifts in Google’s search engine algorithm and rankings. However, one can argue that if your business was entirely dependent on one source for leads, sales and revenue, then you didn’t have a solid, diversified business to begin with. Similarly, you can’t blame a technology company for providing a superior product/service that convinces independent consumers to use their technology (e.g. search engine). There was no government intervention or unfair advantage given to Google – a majority of the free market just decided to start using Google because they preferred their search engine results over competitors. Furthermore, considering these businesses don’t directly compete with Google and competition is not being stifled, I don’t think it’s the concern of Google that a particular business/website/listing doesn’t rank well in their search engine. Finally, Google isn’t preventing businesses or websites from attracting visitors from other sources. While not as high volume as Google, other sources of traffic do exist. The only argument is that these sources aren’t as profitable as Google’s rankings, but that isn’t Google’s problem. Simply put, Google is a for-profit company. Their search engine is intellectual property, and they can run it however they want. It’s their house and their rules. If we don’t like it, we should play somewhere else. I feel for those people: Ruining small, independent businesses is the ugliest thing a company can do. Yes, it’s their index. Yes, they had to change the rules as a reaction to rampant abuse. Yes, they probably don’t fight against anyone; they probably fight for the quality of their results … but the negative effect on small businesses should have been the first thing Google considered. But they never did … because they were happy with growing revenue from those small businesses who now had to buy ads. Is it worth bringing up for discussion? Hell, yes. Whether you like Josh or not (and his way of communicating), this is a campaign I support. Don’s Note: In my experience, Google often throws the baby out with the bathwater. Innocent parties get caught up in the sting and recovery can be all but impossible. Many times, the best recourse is to get another domain and start again. A few years back, I was helping a corporate team develop their SEO strategy. I mentioned that Google isn’t limited to algorithm changes, that they also can (and very much do) make site-specific and search-specific observations. The team leader was incredulous. “There are way too many sites,” he insisted. “Google isn’t looking at individual sites or searches.” He was wrong, of course. Google does what Google wants. As to the idea that anyone who puts their business hope on Google is a fool … think about it: Google gets 2/3 of U.S. search traffic. Can a business really expect to prosper by ignoring (or being invisible to) most of the prospects who are using Google to look for their particular product or service? Think about it. Google isn’t the only egg basket in town … but it is by far the largest and most influential for online search. Depending on the business model, the search results page (SERP) can be absolutely crucial to success. Is it dangerous to speak out on this topic? Do you think Google will penalize those who support the film? I don’t think Google really hushes and muzzles any actions against them. Actually, when you are speaking about Google, you are only helping Google. There is no such thing as bad advertisement. Thus, I don’t think this documentary will be mysteriously vanquished, especially if it gets big publicity. The big G is right now the universal ruler of the digital world, and EU is the last fort before their total dominance. The issue of a Google monopoly has become political, and since they agreed to change the way they display search results, the only thing we can do is actually wait and see. Good luck to Josh and his documentary! I guess it’s going to partially depend on how popular it is. If it’s not popular they won’t care – people speak out about them in the SEO community all the time. That said, I can’t imagine Google wanting people to know that these algorithm actions cause such issues. But I believe that even if it does become popular, they’ve the PR power to spin it and make anyone showcased in the video the exceptional minority and not in any way the commonplace. So, the likelhood is that there will be no direct action taken. The penalisation may just be the individual’s reputation. If you mean will you wake up next to an horses head, who knows, but I doubt it. Seriously, the film is full of good intentions, but I do think you are going to be wasting a whole lot of energy on this. Google is not going to change it’s policy of improving its product. I don’t think Google will penalize anyone over this, nor lose any sleep. Sorry I couldn’t be more supportive for your cause, I wish you well. I think, like everything else, it depends on how one does the speaking. One can be critically respectful and still get a point across. Or one can be extremely confrontational and risk alienating people who might otherwise listen. This isn’t to say that Google is an altruistic company – far from it – but it seems awfully petty and unprofessional to penalize individuals who disagree with their corporate practices. Dangerous? Why should something so true and genuine be dangerous? Google is not a king and its engineers and spokespeople are not the gods’ ministries. They’re people like us, doing stuff they believe in. In ways I — and many others like me — often disapprove of, but Google’s people are still human beings like us. They could take revenge and penalize these people, but it will be Google’s loss to see these people stand on their own feet and believe in what they do, independently of what Google thinks. I will support the film and Google can penalize me, sure. All they would get in return is a big grin and a victory sign. No, I don’t think Google really cares to penalize anyone who supports this film. Fortunately for Google and unfortunately for the supporters of this documentary, if Microsoft can’t effect consumer change with all the marketing they did for Bing, this film will do little damage to Google or its business. This issue just doesn’t hit home for most Americans. Don’s note: I’m not without a hat in the ring here. When My Blog Guest went down, so did my income. I was (and am) the Elite Gallery Editor there. Moreover, I often work with Josh’s SEO firm as a copywriter and social media specialist. I’ve helped many companies hit by Google penalties get back into recovery. Sometimes, it’s obvious they were building spam links and deserved the fall. Other times, it’s just sad. Maybe a mom and pop online store that just got caught in the fray. Or (and this is worse) a legitimate and helpful site like My Blog Guest that Google decided to make a whipping girl out of. I’ve written elsewhere about Google and Game Theory. Are they trying to drive small businesses to HAVE to pay for an ad to get to the top of the search engine results page (SERP)? You bet they are. After all, that’s how Google gets rich(er). Google is a multinational corporation now. The sooner we all realize that, the better capable we will be of creating a non-Google-dependent online strategy. Thank you to all the brave souls who participated in this interview. My hat is off to you. Most people SAY Google isn’t vindictive … but few are willing to take issue with the company and speak out. Right or wrong, you are heroes. Those who are afraid to exercise freedom of speech are in danger of losing it. Bottom line: There was a time when I had high hopes that Google would stick with “Don’t be evil.” I would still love to see that culture return. I wrote about Google’s work with the Surui tribe, for instance, and I love that Google did that. Like Josh, though, I think Google needs people to stand up and ask them to PLEASE consider others again. 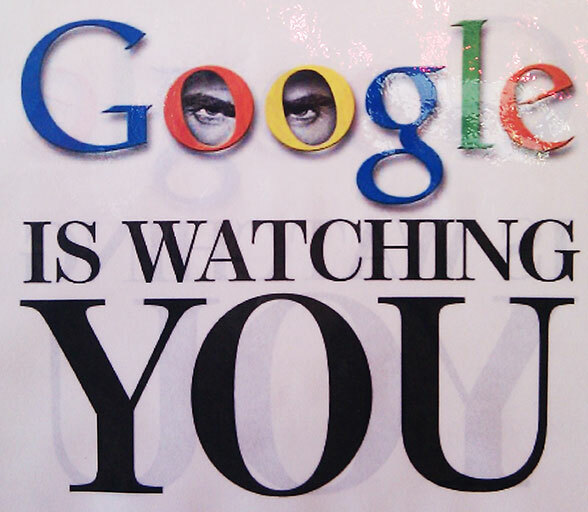 One vindictive move by Google can cause a whole lot of collateral damage. A big way you can help Josh Bachynski with his work is to support him online. Here are a few examples of places where you could hop in on the conversation and talk about your own experience with Google. Of course, you are always invited to leave a comment below. Hey, do both! Check this discussion at the movie site: Tell Josh what you think! The documentary is also being discussed here: Get your two bits in! What a thought provoking video, I’ll be really interested in seeing the finished documentary. I am really torn with my thoughts because I work directly with local businesses – the mom and pops mainly. Here in the UK, Google provides almost 89% of .co.uk search results, they are the Search Gods and you are at their mercy. BUT as hard as it is to swallow for small business owners, in my experience they really do need to stop thinking Google and start thinking about the people they serve. Sure nod at the Google Gods with optimisation. Any business that relies soley on search to bring in business is asking for trouble. It’s too late once you’ve been hit by an algo change. That said, working in the local search arena I think Google need to listen and act quicker when things are reported not quite right. Local businesses aren’t online to make a quick buck (I’m not implying all online only businesses are just trying to make a quick buck either!) They’re people who often don’t understand and have no time to learn how search works. Their small businesses often support employees too. Small businesses can’t ride a crash in visibility and traffic for months on end. Trying to stay afloat once that crash has happened can be a losing battle for those who rely on the G-Gods. The long wait for Penguin to refresh, that could have been handled a lot better. The resurfacing of spam results in Local specific searches with Pigeon that’s still going on and the nightmare trying to report listings. Google is a business, it’s here to make money. Unfortunately they own over 90% (with .co.uk and .com) of the search playing field here. Because of that power, they have a responsibility without all the FUD, which they don’t seem to accept. Of course, small businesses also have a responsibility to market their business and not rely on search. They also have a responsibility to play by Google’s rules and understand the risks by not playing the game. The “But everyone does it” excuse is not going to keep your local search traffic when your business is the one removed from Maps. I find it ironic that Josh is promoting this effort on YouTube… a Google platform. … My issue with the trailer I see is this is NOT a documentary which would attempt to tell all sides of the story, but a slam piece on Google meant to scare. If it were a documentary, it would show how business owners were also often a participant in their own demise. Now NO ONE deserves to be pushed out for a year and I and others tweeted and addressed Google about the unfairness of Penguin 2.0 that being said absolving owners of all responsibility and making it sound like Google just arbitrarily kicks owners out is irresponsible [and inaccurate].